Our Grandshaykh says we must be careful that Satan does not make our worship unacceptable. It is unacceptable when we are asking for any rewards. We must ask for our Lord’s pleasure only. When all the ego’s desires are finished, then one is a servant of the Lord. To look for some reward for worshipping is like idol worship, it is a secret form of polytheism. Sincerityis to ask only your Lord’s service. So many people are worshiping and then doing what their ego demands. This means that they are servants of Allah and of Satan. It is a dangerous way. Until we become clean of bad character we can’t be free of Satan, this world, our egos, and vain desires. Until you become fully aware for each you make with your foot, whether that step is on the right way or the wrong way, you remain in need of alignment in your heart. You must know and be awake to where you are putting your foot. One second’s heedlessness may be cause a dangerous accident. Therefore, we are always in need to repeat the word of Testification, to put us on the right way. Until we become free of bad character, we cannot attain to real faith; and without real faith, then there is no real life, the life that is forever. Whoever realizes real faith in this world will live on in the tomb, his body not turning to dust. That is a sign from God that he or she has reached true life. in the Naqshbandi Tariqah-The Way of Awliya Allah (Friends of Allah). Our way is through association and goodness is in the gatherings. Grand Sheikh use to say this always, our way… He took these words from Shah Naqshband Our way is through association & goodness is in the gatherings. Our way works through association. Once you do Sohbat – you throw the seeds, for example, if you do not water them & the mercy does not rain on them, the seeds rot & disappear. Our way, the origin of our way to move & to work is through association. Keep this always…on your mouth. “Religion is advice” (Hadith) The Grand Sheikhs took from that ocean. Our religion is based on advice, it is an ocean. There are no limits for that ocean. Sheikh Effendi took from that ocean. Our way is through association, it came from that ocean. Our way does not work without association. Meaning a person on his own reciting awrad, he will never reach anywhere. For training the murids & to prepare them and to present them in The Divine Presence and to dress them with their station is through Sohbat. “Religion is advice.” (Hadith) What is advice? It is to ask somebody’s goodness & benefit. Advice… All the Prophets (as) came down with an advice. All of them were advising. Those who were accepting the advice they accepted, those who did not were rolling down to hell. What keeps religion on its feet, is advice. That is why when two believers meet, they must give an association in the period of milking two goats. Believers when they meet they must speak. Leave empty talking. You can speak something but at least within it, there must be some advice in it. To put an advice within the words. Advice.. it gives our words some power. It gives some sweetness to our faith. It gives some power & some strength, therefore “religion is advice.” (Hadith) And our way is through association, from there Shah Naqshband took these words. Our way is the way of association; through giving talk & listening. Who knows how, speaks… And the others must listen. To give & take. The Sheikh gives & the mureeds take. If not, if there is no Sheikh, there are no mureeds. The mureed does not know anything. The one who reaches the mureeds, is the Sheikh. How to reach them is through association. This is not through the stick. It is not by beating, by stick, but association with the guide is a thousand times more powerful than the stick. Sultan Al Awliya’ used to say like this. 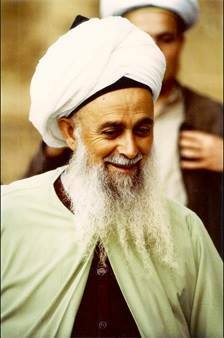 Sheikh Abdullah Al Daghestani, our Sheikh, our Master, and the Grand Sheikhs, he is the last link of the Golden Chain of the Naqshibandi Sufi Order. He is the seal of the chain. Murid is to become the throne of the Prophet (s.a.w)- to become a better Servant of Allah. Who does not get his seal can never be a Sheikh and cannot be even a mureed, and will not understand anything to speak. Becoming logs of wood. If the wood does not go through the hands of the carpenter it remains a log. The only benefit is in the fireplace. But if it goes through the hands of the carpenter then it is dressed with character. The wood first is taken from the tree & cut into timber. The timber according to the imagination & drawings of carpenter becomes various forms. They call him a carpenter. There are 2 kinds of carpenters. The first makes furniture the other one prepares timber, maybe windows & doors. That one cannot do the work of the carpenter for furniture. And the other one does not interfere in the work of the one who prepares timber. It is like this. A person/Insan needs carving, otherwise he is like wild wood, if it sits 100 years it remains timber. But once it reaches the hands of the master carpenter that timber is transformed into many kinds of furniture. How many household furniture and even outdoors the carpenter can turn the wood into. But first it goes in the hands of the Master carpenter. Otherwise it sits 40 years as it is. Advice shapens the timber & the wood of our ego and the carpenter used to hold it & look if it is straight or not in the old times. The carpenter, then later if it is not straight he takes the file and smoothes it till it is straight and smooth. It needs a Master carpenter, the furniture. And continues to carve & to file the mureeds & he looks. He looks like this, like that… till he is straight & soft. That is why Allah Almighty said “Fastaqim Kama Umirta” (Be straight as you are commanded, 11:112). Prophet (saws) said “Surat Hud turned me gray.” “Surat Hud turned me gray.” Why? The majesty & glory of that Holy Verse turned the blessed beard of the Prophet (saws) into grey. Allahu Akbar! Allahu Akbar! O our Lord You know best. O our Lord You know best! Two people they may sit, greet each other and give some benefit to their beings. It gives benefit to both sides, no empty talking. No empty work & no nonsense in Islam. In Islam the Tariqa has all the control & arrangement of everything that happens between the saints, the Sheikhs, and those who are following them from among the dervishes & mureeds. To be on the way it is in the Tariqa. Otherwise they remain like wood, timber laying down. It is just timber. They are timber. There! What can you say… “I am laying there as timber”. “You are timber!” “And the furniture that reached the Palace of the Sultan came from me!” “O no, ask the furniture in the Palace that reached the Sultan how much treatment it went through before it reached the Palace of the Sultan. Otherwise they will carry the timber on their shoulders to the Palace of the Sultan. 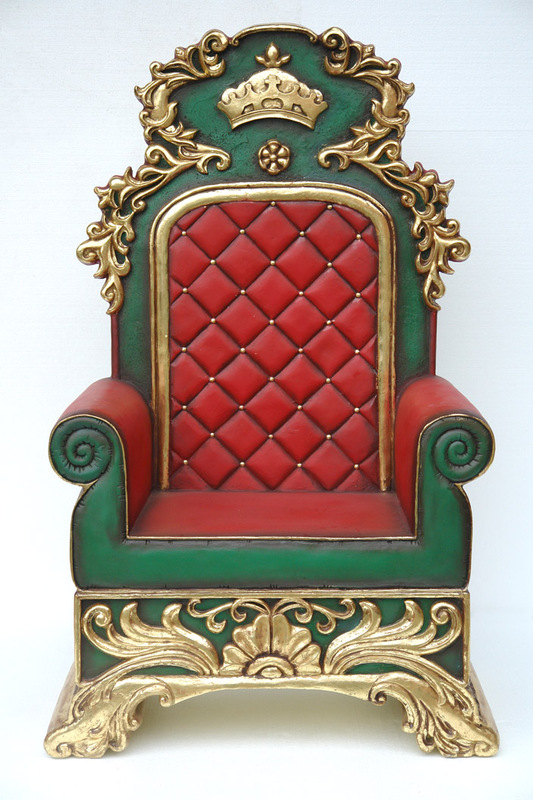 Ask the furniture in the Palace how much treatment it went through to be trained, to be fit for the honour of being furniture for the King. Therefore mankind is continuously in need of training. “Wa Dhakkir” (51:55) “Wa Dhakkir Fa’inna dh-Dhikra Tanfa`u l-Mu’minina”(51:55) They say sharpen, carve…remind. Every remembrance is similar to shaping, to soften & straighten the wood. “And remind for verily, the reminding profits the believers.” (51:55) “And remind for verily, the reminding profits the believers.” (51:55) Wa Min Allahi t Tawfiq, Fatiha. We spoke about one spot only The writing that you can take from a small ink bottle is something,the writing of a bigger ink bottle is something else. And then the big barrel can write completely something else. The writing that you can take from a sea is different than the writing that you can take from an ocean. An ocean. A writing from an ocean is completely something else. O our Lord, we thank You. O our Lord thank You. “We are on a ship and it is going to sink down, and coming from above is a hook for linking. Who is reaching there [to the link/hook] is being saved and is going up, not sinking down. Therefore, our material being one day must also sink down. Ṭūbā [good tidings / blessedness]! Never-ending good tidings are for those who are asking and reaching through that link, and that link smoothly, smoothly taking him up, leaving physical being to sink, but sending our souls up. 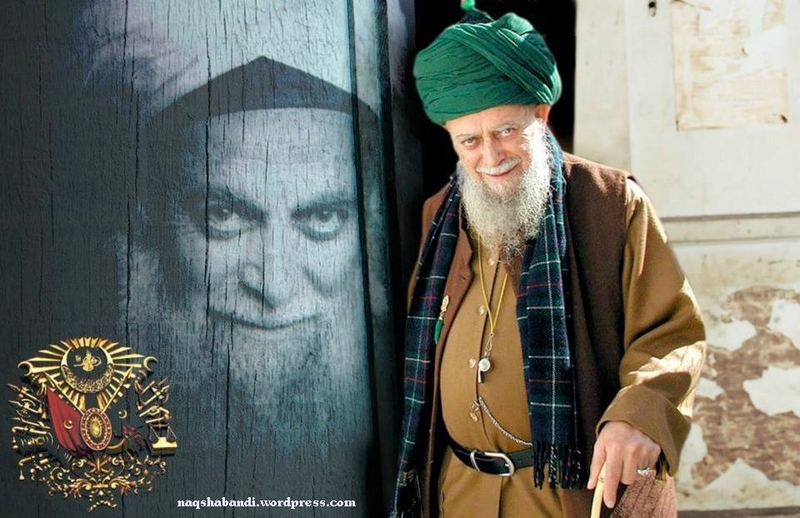 – Sultan ul Awliyah Mawlana Shaykh Nazim (Alayhi Rahma), Cyprus,Lefke. Allah says in Quran: Sura Nisa (4:59): O you who have believed, obey Allah and obey the Messenger and those in authority among you. And if you disagree over anything, refer it to Allah and the Messenger, if you should believe in Allah and the Last Day. That is the best [way] and best in result. 36:21 Follow those who ask of you no fee, and who are rightly guided. They ask of you no fee (36:21) by Allah’s Command, not by their own desires.